We’ve rounded up some must-reads from the worlds of content marketing and advertising. This week’s offering deals with newsjacking (aka real-time content marketing), ROI that works and backseat drivers. Content marketing by no means involves a workflow that’s set it and forget it. It requires heavy preplanning, the execution of the strategy itself and then evaluating how the content performed, whether it reached the right people and whether it resulted in any leads or conversions. Finding what works may be a bit of trial and error. Here are a few gems. In one of the most highly anticipated tech events of the year Apple media event, what better time to try to ride the momentum? Several newsjacking plays were pulled off quite well. Marketingland did a great round-up of brands newsjacking the Apple event. Denny’s brilliant test pattern, modeled after Apple’s test pattern that was used during the computer company's video livestream, which ended up hitting a few snags during the presentations. 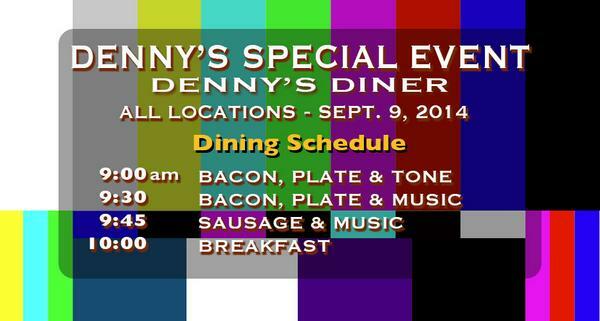 Denny's tweeted test pattern branding spoof had nearly 3,900 retweets and more than 2,700 favorites. Ford Motor Co. did a string of tweets comparing their specs to those presented by Apple using the hashtag #WeGotThat2, according to Marketingland. Content marketing is increasingly becoming a priority for B2B marketers, data from a recent survey show. Sixty-three percent of B2B marketers plan to shift more of their marketing budget dollars into content marketing over the next 12 months, according to a survey by Starfleet Media. When it comes to distribution tactics, nearly all use their in-house staff to do outreach. Ninety-six percent of companies surveyed use their sales/account teams to distribute content marketing assets. A majority of B2B content marketers -- 84 percent of respondents -- measure content marketing success by the number of leads generated and 78 percent track sales conversions, according to the survey of 261 B2B marketers and sales professionals. The small sampling of B2B marketers hints at a shift in priorities and a greater emphasis on content marketing. Everyone loves a good success story, especially one that shows content marketing’s making an impact -- with measurable results. That’s exactly what this round-up of six case studies on content marketing ROI eConsultancy does. In one example, Logicalis used six email creatives, an ebook and an eight-page microsite to help build its HP sales pipeline among existing contacts, according to Econsultancy. The result? They reached out to 2,000 existing and prospective customers and ended up with nearly $8 million in closed and new pipeline business. Content marketers may put a greater focus on measurement or scheduling social media posts, but what can easily be overlooked is quality writing. Writing is also an easy way to quickly and easily improve content marketing efforts. This great post from Pardot gives simple, actionable tips that any content marketer can do today to improve their content quality. Dealt with backseat drivers much? 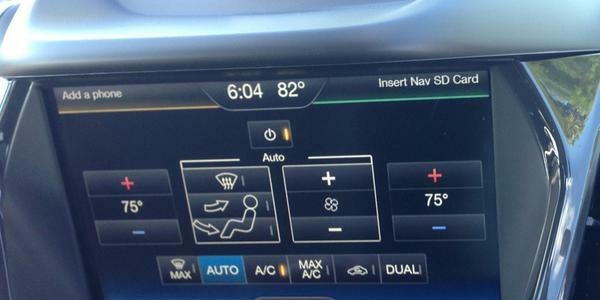 Well, Hyundai takes a humorous aim at them in their ad spot “Co Pilot”. The ad is part of an online video series to promote the 2015 Sonata, which includes the car’s 3,000-mile U.S. road trip and an interactive game, the Drum reports. The spot also features the new voice for commercials for Hyundai actor Paul Rudd, who replaced Jeff Bridges, who was the voice for Hyundai ads for seven years, according to Auto News. Follow Engage on Twitter for more content engagement, strategy, measurement and more. Click here to see how ScribbleLive's content engagement platform can help your company achieve its business goals. Live Chat: Does Growth Hacking Really Work?